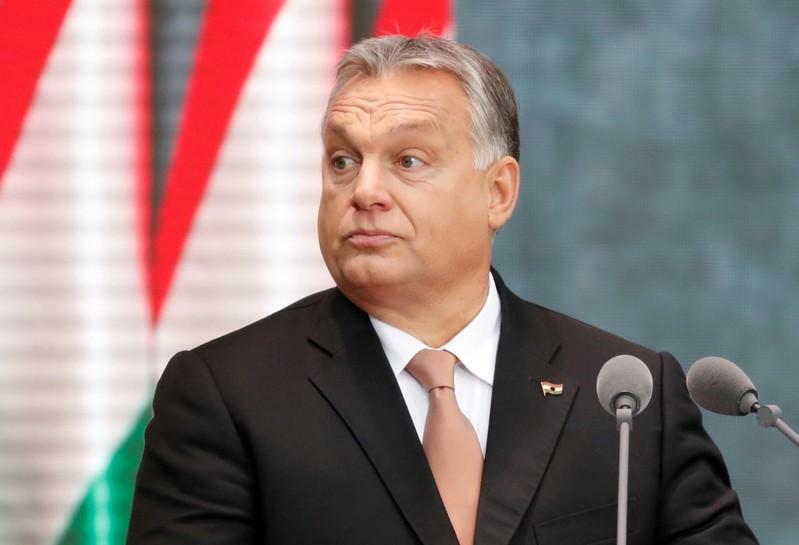 BRUSSELS (Reuters) - European Union leaders on Friday backed a plan to tackle fake news on the internet and the bloc's chief executive rounded on one of the EU chiefs, Hungarian Prime Minister Viktor Orban, as one of the main culprits in spreading disinformation. The EU plan endorsed by the bloc's 28 national leaders is largely aimed at guarding against what the United States, NATO and the EU say are Russian attempts to undermine Western democracies. But European Commission President Jean-Claude Juncker said the bloc should also look within its own ranks in its fight against disinformation and he zeroed in on Orban whose populist politics have raised hackles in Brussels. Singling out Orban, Juncker told reporters: "Some of the prime ministers sitting around the table, they are the origin of the fake news." "When Mr. Orban for example says ... that migrants are responsible for Brexit, it's fake news. So let's not put all the responsibility on others," Juncker said. He has irked many in the EU by taking on the image of a crusader for the rights of nation states and ethnic majorities against rules of civic behaviour agreed in Brussels. Juncker backed the European Parliament when it voted to impose sanctions on Hungary for breaking with EU values on democracy and civil rights. EU leaders earlier endorsed plans for an early warning system to alert governments and for tech giants such as Facebook and Google to do more to remove misleading or illegal content. "The spread of deliberate, large-scale, and systematic disinformation, including as part of hybrid warfare, is an acute and strategic challenge for our democratic systems," the EU summit's conclusions said. "It requires an urgent response." The EU executive's plan, endorsed by governments, will hand more money and power to regulators in Brussels to monitor and flag Russian disinformation. It increases funds for the foreign service EEAS for this to 5 million euros ($5.7 million) from 1.9 million in 2018.